The magician shows a small paper bag to be completely empty. A moment later he makes a full size banana appear from it. He then puts the banana back into the bag, and crumples it up… the banana has completely vanished! 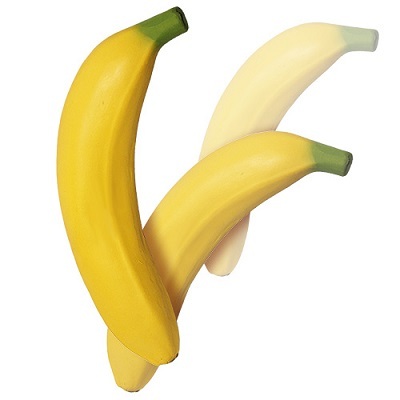 • The banana is extremely realistic and is cm 17,5 (6,9”) long. • It is a great production item. As it instantly springs back into its full size, you could make it appear from underneath a silk, from a small box, from a production item and so on. Just roll or fold up the banana, put it in whatever place you want to produce it from and you are set to go. Naturally if you use multiple bananas the production will be all the more astonishing!